The mission of Easy Baby Life is to provide free, evidence-based information and parent-approved tips on everything related to baby care and pregnancy. The posts and tips on this website are provided free of charge and the maintenance and development of the website are financed by allowing banner advertising. Our founder started this project in 2006 when she was on maternal leave with her third child and wanted to reach out to other new parents around the globe with help to make the sometimes very tough life with a new baby just a little bit easier. 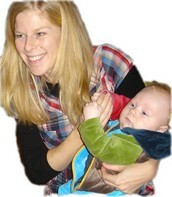 Easy Baby Life has grown over the years and now enjoys several thousand visitors every day from all over the world. The blog is owned by Swedish company, Open Hands Media AB, which in turn is owned by the founder of this website. 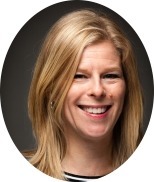 I’m Paula Dennholt, founder of this site, mother of three of which I’m the birth mom of two. This was when I decided to dedicate time to help other new parents, by starting a blog filled with practical been-there-done-that tips on baby care. Over time, Easy Baby Life has grown to also include evidence-based research and information about pregnancy, childbirth, breastfeeding, baby care and simply coping with life as a new parent. We (me and some fantastic, volunteering moms) also started our Baby Help Line, where we answered several hundred questions. And a lot of visitors still offer their help and thoughts too, which is invaluable. Since several questions and answers are about the health of babies, we also have a medical reference team, with two medical doctors who review all answers that are related to illness. They do not offer medical advice or diagnosis of any kind, but make sure that answers are relevant and complete from a medical perspective. Our two medical MDs are presented below. I love children! And having studied cognitive behavioral models and therapy for children, I strongly believe in the importance of responding to your child’s needs as well as focusing on positive reinforcement rather than on punishment. This foundation can probably be seen around here, for example through a lack of support of cry-it-out methods, tough disciplining of small children, and fear of spoiling babies. But no matter what your thoughts are on these issues, I hope you will be able to find a lot of valuable help and information here to make daily life with your young family member as pleasant as possible. Here you can read about the two Medical Doctors who help us make sure that any information on this website that relates to the health of babies, is correct from a medical perspective. The doctors do not, however offer any kind of medical diagnosis. If you have serious concerns about your child’s health, you should always contact a doctor in person. 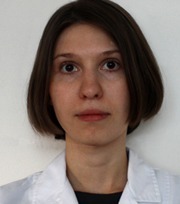 Dr. Darya Blednova has graduated from Krasnoyarsk State Medical University in the year of 2010. During the course of her studies she has completed numerous research projects in the field of pediatrics and was a volunteer worker in the city orphanage. Her aspiration is to enter the Pediatric residency program is the US, as that is where her family currently lives, and pursue a career in academic pediatrics or child neurology. Dr. Maria Vinueza is a medical doctor who has a deep interest in medical writing. 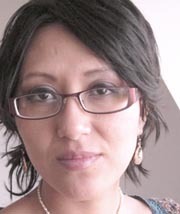 She has been working as a family doctor with children and parents in several hospitals in Ecuador. So now you know a bit more about this website. Have fun looking around! Low Libido While Breastfeeding – Why?